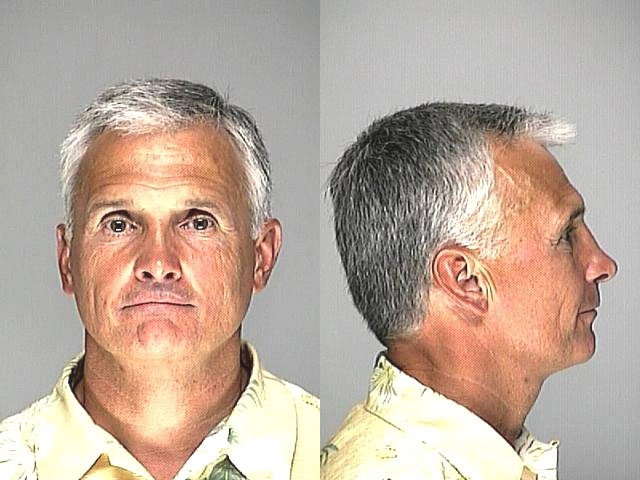 New York Mets manager Terry Collins was arrested by Georgia cops in June 2002 and charged with drunk driving. Collins, 61, working for the Los Angeles Dodgers at the time, was spotted driving with a flat tire. After emerging, staggering, from the vehicle, Collins failed a field sobriety test and a subsequent Breathalyzer test confirmed that he was drunk. He was booked into a Richmond County lockup where he posed for the above mug shot. The former manager of the Angels and Astros later pleaded guilty to a misdemeanor drunk driving charge.